What I think: You can’t really tell by the picture from the lush website but they have flecks of brown which kind of look like oats or something so I wasn’t sure what that would do to the water. I ran my bath then put him in the water (I only used half which was enough) and he sunk to the bottom and fizzed away. Brown lumps started to float to the top, it looked a bit weird, like the ballistic had gone off a bit, despite this I still got in the water. The brown lumps where actually the cocoa butter which then melted into the water leaving it clear with an oil layer on top. This ballistic was extremely moisturising, not as much as the star melts, but quite close. 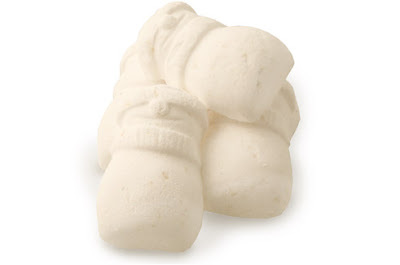 It has a really sweet calming scent, great for those who like more subtle bath products. Re-buy? Obviously I can’t buy Mister Butterball throughout the year but I can get his brother/sister, Butterball and I definitely will! I love mister butterball, I hope he returns next year! Great blog, im now a follwer! @Lauren ♥ aww thanks, you have a great blog too! you can get butterball which is the same just not in the cute snowman shape!